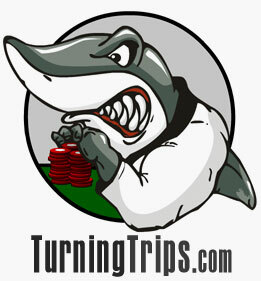 True Poker has been around since 2001, but has managed to stay relatively low profile. They have a terrific looking software package, with interesting 3D characters, sounds and rich graphics. Because of the presentation, True Poker has it's share of fans, and is a fun place for new players to practice their hold'em skills. 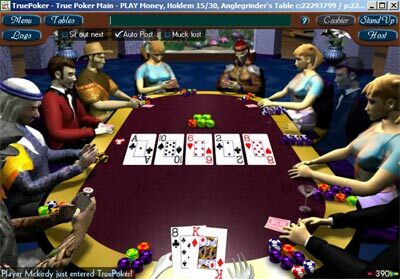 Unfortunately, True Poker doesn't offer a lot of diversity as far as games go, offering only Texas hold'em and Omaha with a respectable variety of table limits. There's also a problem with the volume of players; if you're looking to play low-limit hold'em you won't have a hard time finding a table, but higher limit games are few and far between except during peak hours. The tournament action is better than some rooms, but suffers from the lack of players. While they offer single table tournaments, the majority of players seem to lean towards multi-table tourneys, and once again there are few players in higher staked games. The lack of game variety and small player base makes this poker room a pass in our opinion, though new players may find it a fun place to try out if playing for free or just looking for very low-limit Texas Hold'em. New players receive up to $200 free (100% match bonus).